Mars may once have had an ocean – but only for a geological blink of an eye, which puts a dampener on ideas that there is or was life on the Red Planet. That’s according to a new theory put forward by Tim Parker of NASA’s Jet Propulsion Laboratory in Pasadena, California. Speaking at the Lunar and Planetary Science Conference in The Woodlands, Texas this week, he argued that a sustained barrage of asteroids hitting the young Mars could have delivered water to the surface, at least temporarily. Parker has long held that at one point an ocean spread across half the northern hemisphere of Mars. This has seemed increasingly likely as we have continued to study the planet. Signs that Mars was once rife with water litter the present-day surface, with numerous geological features that are difficult to explain if it was always the dry, dusty lo­cale we see today. These include polygonal cracks seen by NASA’s Opportunity rover, which has been slowly driving across Mars for over a decade. 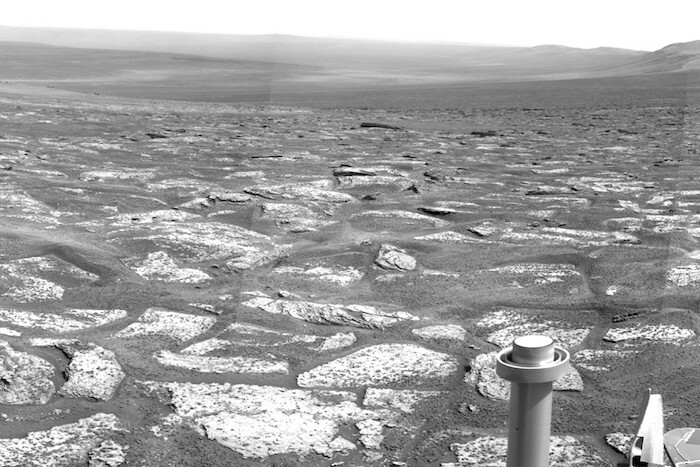 On Earth, these require evaporation to form, so Parker sees them as a strong indication that the rover is traversing what was once the edge of an ocean. “The uniformity of the surface [that Opportunity has traversed] – over 43 kilometres now – is much easier to explain in a shallow marine setting,” he says. The trouble is that models of the ancient Mars climate struggle to match the conditions necessary to keep liquid water on the surface, which would require a thicker atmosphere. This atmosphere must have somehow been rapidly lost to leave Mars as we see it today. Now Parker, along with his JPL colleague Robert Anderson, says a tumultuous time in the solar system’s history known as the late heavy bombardment could provide the water with no need for a major change in the atmosphere. 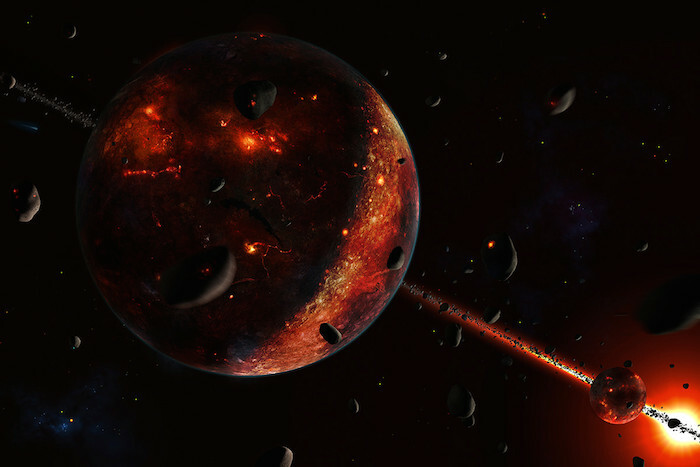 During this period about 4 billion years ago, a barrage of asteroids is thought to have collided with the inner planets. But because the Martian climate wouldn’t be equipped to hold on to the water, this ocean would freeze and disappear after just a few hundred million years – leaving potential life very little time to evolve.